Organic farming=A Responsible Business. A DISABLED US MILITARY VETERANS PROJECT USING FUNDS TO HELP OTHER VETERANS. In 1977 a major motion picture was made in Grover and inside our Inn. 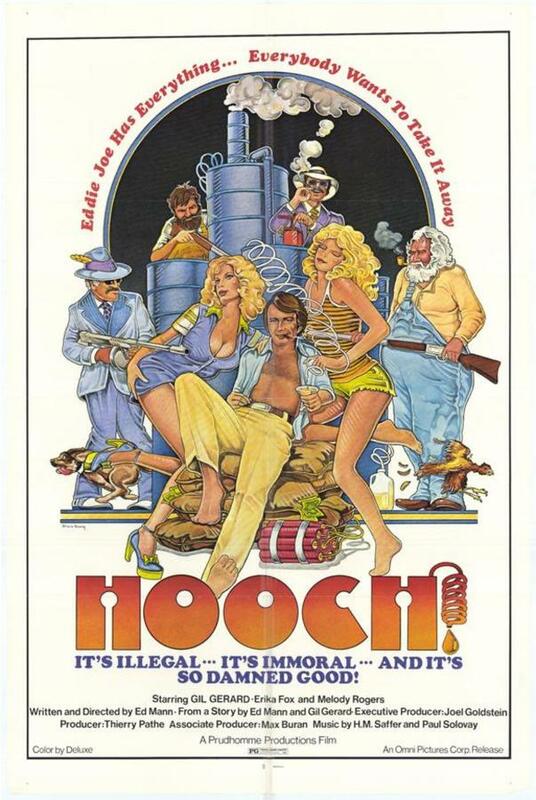 Named, "Hooch," it featured Gil Gerard, Erika Fox, Melody Rogers and Danny Aiello and is a comedy spoof about the Mafia and Cleveland County Moonshiners making, "white-lightning." This is why Chef Marti serves Moon-Shine Jelly some mornings from the Farmers Market - you might want to try some! The film is quite funny, especially if you are Italian and want to reminisce of your own family, relatives or just have a few harmless laughs. The local footage is great as is Danny Aiello carrying on all over the Inn from room to room - including Cathy Horton Hunt's teenage red room that she painted!!! Cathy is the daughter of Clyde and Myrtle Horton and Clyde was a Marine and barber in town. Clyde was well know for making people laugh and telling jokes and was featured in the Kings Mountain Mirror on Wednesday, September 26, 1973 on page 11A with his wise-cracking bird, Frankie! Clyde and Myrtle deserve great credit for keeping the legendary home so beautiful and restored in excellent shape - for so many long decades. And, if you are wondering, YES - Livermush was served then (on the set) - as it still is now. The photo on the top left is Cathy Horton Hunt at the Renn's Cafeteria Sign in the 1960's, and the two photos to the right are 2008 photos with building of the sign and landscaping occurring by Marti and Stormy Mongiello. Dany Aiello (of The Godfather famed series) is shown above (bottom left, middle and right) terrorizing guests, patrons and the inn manager. Pictured above, right is the famous teenage red room of Cathy Horton and later, Charlotte Allen. Today it is the Oceanicus Blue Dreams room where the mafia slept and argued. The official movie poster (above) released featuring dynamite, hooch (moonshine), country dancing and machine guns... Click the poster for a blow-up version. The Hambright Mansion and Renn's Cafeteria are the actual sight of the famous gun battle and shoot out on the streets of Grover, NC. 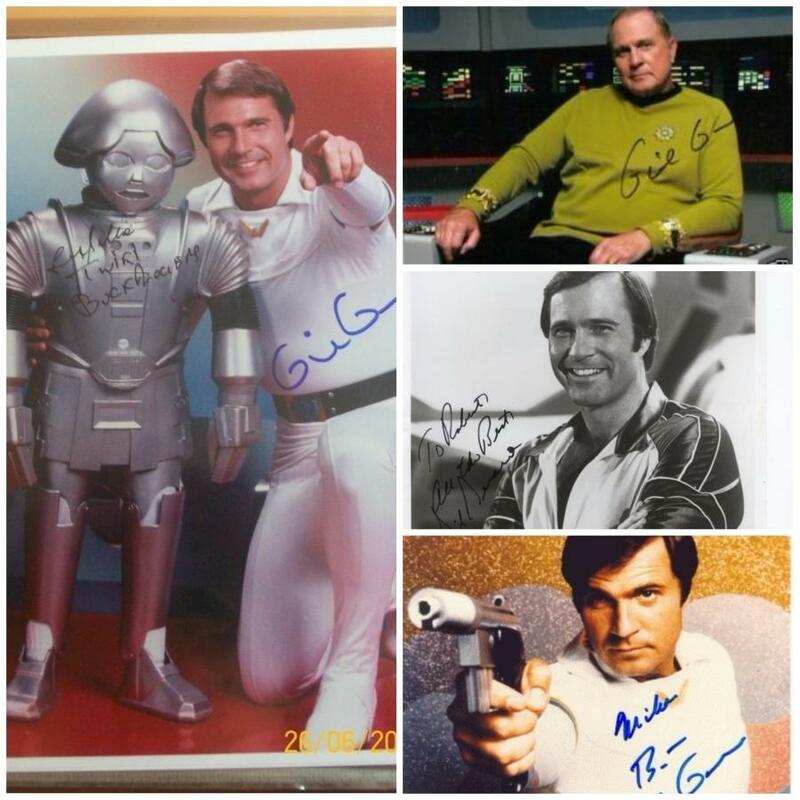 Shot in 1977 with Danny Aiello (featured below, right), Gil Gerard (later to become famed in Buck Rogers in the 25th Century and as an Admiral in the Star Trek film series legacy), Erika Fox and Melody Rogers (featured below, left and middle) - the film is an entertaining comedy spoof of the Mafia coming from New York (and getting caught up) in moon-shine feuds that erupt into battles to control the HOOCH trade in Cleveland and Rutherford counties. Be sure to get your photo by our outhouse on the 1776 Farm and over by the moonshine still under the walnut trees! Post that to Facebookand Pinterest! Danny Aiello, the critically acclaimed Academy Award nominated actor, whose performances in more than 70 films including The Godfather, Do the Right Thing and Moonstruck, have endeared him to audiences worldwide. He is working on two new, major films for release and has been called, "the New Blue Eyes," for his new CD. His live shows in Atlantic City, NJ in the COPA room at the Tropicana Casino - singing to rave review songs are doing extremely well. This is one of his first films made and was a relatively unknown movie star. Here we see kind folk (shown above) enjoying this and that, and every other goodie, that Renn's Cafeteria cooked up - good, fine food for plain friends. The ole Coke machine was a popular piece as was greens with hocks and biscuits, butter and natural honey from local bees. The local Sherriff (right) is portrayed speaking with his niece about Gil Gerard, "runnin' shine." Danny Aiello runs out the back door (left) to escape in his getaway car (in which they later tear up Roy Dyer's front yard across the street), the Cleveland County Sherriff arrests a local hoodlum on the front steps (middle) after a gun battle and ransom had occurred (right) with threats and shooting out of the front bedroom window (smashed out with a shotgun in the now Baby Ruth Room). Blasting pistols and shotguns back and forth across the lawn while the street was sealed off was quite a site in Grover. In general, gun battles do not normally occur in our town!